This matching set of crystal candlesticks and tray will make a beautiful centerpiece to your Shabbat table. Each crystal candlestick is designed with a beautiful mixture of orange and gold hues. They are embellished with a small gold colored plaques and colored stones. 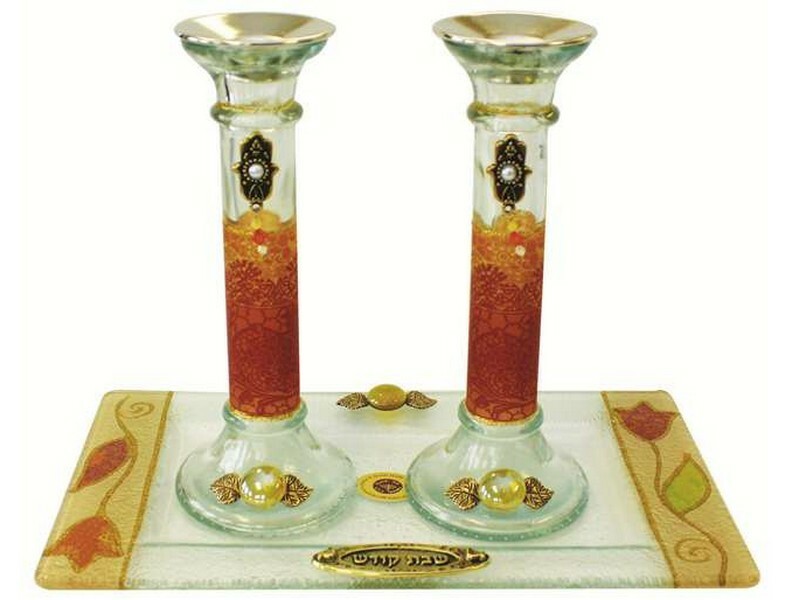 Candlesticks come complete with a coordinating flat crystal tray embellished with light brown stones and a plaque which reads 'Shabbat Kodesh'.